CallTrackingMetrics allows an unlimited number of users for each account. Each user has a role that determines what kind of permissions they will have in the account. Users can have access to multiple accounts, and can have different roles in different accounts. Some user roles can be added to access control groups, which allow for more fine-tuning of what they can access in the account. For more information on user roles, see the the full article here. Once a user has been added to an account, you can edit their settings to make changes as needed. See Managing Users to learn more about how you can edit an existing user in your account. 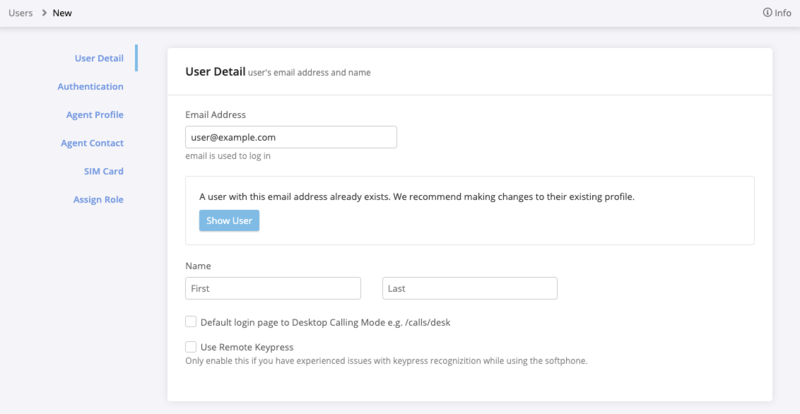 To add a new user, you must enter an email address, first name, last name, and role. 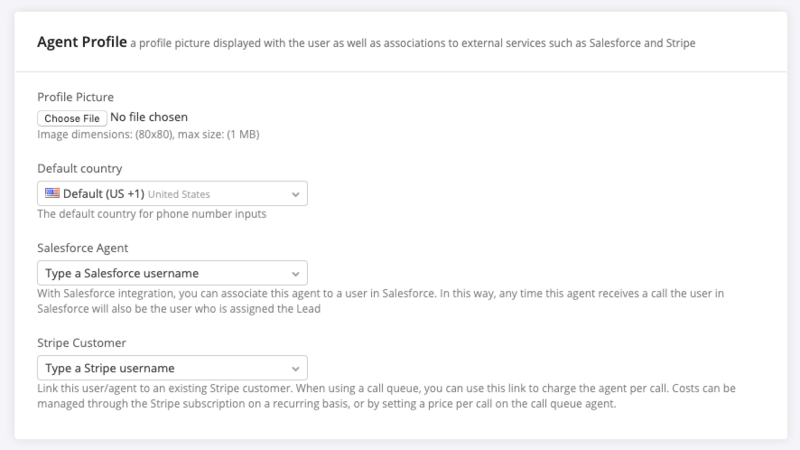 There are several optional features you can configure as well, including a profile picture, an agent schedule, and a receiving number. Navigate to Settings → Users and click New User in the upper right corner. Enter the user’s email address. This will be the username for the purposes of logging into CTM. Enter a first and last name for the user. If you attempt to add a user that already exists in the system, you will see a message that says “a user with this email address already exists.” This message is there to let you know the user already has an account in the CTM system, but you can still grant them access to your account. Note that for security reasons, some aspects of a user’s profile can only be edited by the account or agency that originally created the user in CTM. If some aspect of the user’s profile needs to be changed and you are not able to access it, the user may need to contact another account owner or contact support for assistance. If you receive the “a user with this email address already exists” message while adding a user, click Show User. The user’s profile will be populated with their existing information. Review everything for accuracy. If the user’s current role is the role you’d like them to have in this account, make sure the correct account names appear in the field. If you need the user to have a different role in this account, click +Add Role and select the role you wish them to use in this account. Make sure the correct account name appears in the field for this role. When creating a new user, the authentication section offers you the option to send login instructions to the user. The message will include an authentication link they use to log in for the first time, and they will be prompted to set a password. The email address that you enter in the General section of the page will be used for this message. The validation link sent to new users will expire after two days. If the new user doesn’t log in within that time, they will need to reset their password using the “forgot password” link, or you can send them a password reset from their user profile. By default, “send instructions” is checked. In this section, you can set the agent’s receiving number and apply a schedule. For more information on schedules, see the full article here. If you have created access control groups in your account, you can assign your new user to one of those groups. Agents, call managers, and report managers can be assigned to access control groups. If you want your new user to be an agency administrator, you will have to first add them as an administrator, then edit their profile to change their role to agency administrator. Create a new user using the instructions above, then click or scroll to the Assign Roles section. Click +Add Role and select Agency Administrator.